A homeopathy conference in Germany ended regrettably early when 29 people accidentally took “an LSD-like drug” called Aquarust and had to be rushed to the hospital, according to reports. The homeopaths were rescued after they were seen rolling around in a field near their hotel, gibbering incoherently. 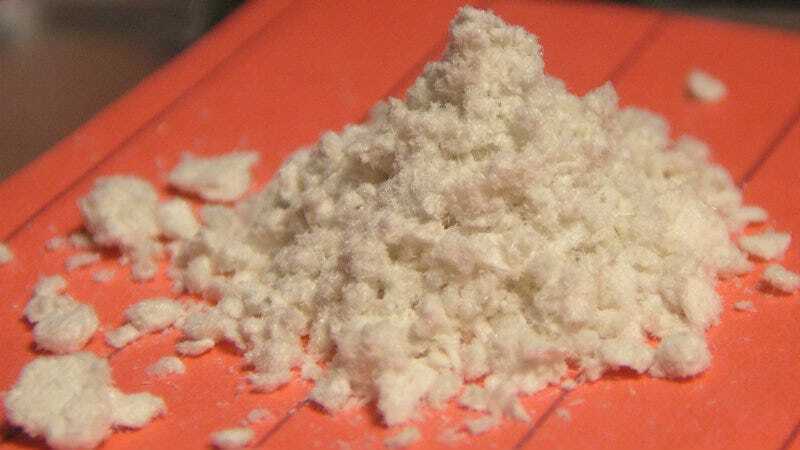 Aquarust is a psychedelic, also called “Europa” or “Tootsie,” and it’s not widely known or used outside of Germany and Austria; it’s illegal in both countries, as well as Switzerland and the United States. It’s also known as 2-CE, short for its chemical compound. A not-very-good Wikipedia article says the drug can be taken orally or nasally and can cause vivid visual hallucinations. Drug experimenters on Erowid call the visual effects “gorgeous,” and one guy credits it with helping him quit smoking. On the other hand, it’s best known in the United States for killing a teenager at a party in 2011 and leaving ten other people hospitalized. “The organisers of this obscure conference are unknown to us and such events will not be tolerated by our Association,” a spokesperson said. “Unfortunately, the conference in Handeloh has severely damaged the image of the alternative medicine profession…and we have clarified that such acts are not in the spirit of natural therapy, and contradict our values both morally and legally.